With the political world distracted by President Trump’s media wars, one of the most consequential and contentious internal debates of his presidency unfolded during a tense meeting Monday in the Roosevelt Room of the White House, administration sources tell Axios. The outcome, with a potentially profound effect on U.S. economic and foreign policy, will be decided in coming days. With more than 20 top officials present, including Trump and Vice President Pence, the president and a small band of America First advisers made it clear they’re … bent on imposing tariffs — potentially in the 20% range — on steel, and likely other imports. While the intent is to penalize China, a goal of Trump’s dating back to the campaign, officials informed Trump that the tariff would most likely affect other major allies of the US including Canada, Germany, Japan, Mexico, and the UK. The plan is backed by what Axios described as the “America First” wing of the White House including chief strategist Steve Bannon, Commerce Secretary Wilbur Ross, trade adviser Peter Navarro, and senior policy adviser Stephen Miller. During the meeting, according to Axios, Trump was told by “over 75%” of the people in attendance that the tariffs were a bad idea but remained in support of the idea because it would excite his die-hard supporters. The officials said they did not expect Trump to make a formal trade announcement until after the upcoming G-20 summit in Hamburg, Germany, which begins July 7. Trade issues are slated to be a major topic of discussion at the meeting, which Trump will attend. European Union officials … have warned that they do not believe the United States can plausibly claim a national security exemption from global trade rules to restrict steel imports. While there are many issues of “unfair” trade, massive tariffs would affect not only countries that Donald Trump feels are “unfair,” but will also raise costs to Americans. It can be debated if the costs are worth the jobs that would be affected. But it is clear that most economists, and even Donald Trump’s advisors, see problems with attempting to impose massive tariffs. China, Mexico and Europe have had trade concerns about the USA because of Donald Trump. If massive tariffs are imposed, this will further drive them closer together. Donald Trump’s earlier executive order (see After Trump’s executive order, TPP-related nations start to look to China) against the Tran-Pacific Partnership agreement has already seemed to have helped both China and Europe increase their trade influence in Asia and elsewhere. Mexico has also tried to reach out to Europe because of Donald Trump (watch Donald Trump and Mexico’s future). If Merkel is right, the U.S. – after withdrawing from the Paris climate deal in early June – is now threatening another global agreement. Almost nine years ago, at the height of the financial crisis, the world’s 20 largest economies agreed to launch economic stimulus programs and to reach consensus on joint regulations to prevent bank collapses and tax evasion. It was a far cry from the new global government that some had been dreaming of, but that summit did bring about some modest improvements. The U.S. … is demanding that Germany finally take measures to reduce its immense trade surplus. Washington is considering the introduction of a so-called “border adjustment tax,” which would make numerous German products drastically more expensive in the United States. The Americans also want to impose new sanctions against Iran, which Europe opposes, and are demanding that Europe import more natural gas from the U.S. instead of from Russia. Of particular note, the list makes it clear that Europe and America are already threatening each other with retaliatory measures and reprisals on several issues. Commerce Secretary Ross has been charged with producing a report to clarify whether the cheap imports pose a threat to U.S. national security and was originally supposed to deliver that evaluation in June. Now, however, the German government is concerned that Ross could advise his boss to impose tariffs on the eve of the Hamburg summit or, worse yet, during the meeting. The problem is that such tariffs wouldn’t just hurt Chinese companies, but primarily countries like Canada, South Korea and Japan in addition to the European Union, above all Germany. Last year, Germany was the eighth largest exporter of steel to the U.S., ahead of even China. If Trump were to impose tariffs, it would have negative consequences both for German exports and for trans-Atlantic relations. So, Europe is saying that if the USA takes steps, it will take counter steps. Trade war type steps. The fact of Brexit and the EU’s response to it have been pushing the Brits to conclude that they need to move closer to the USA on trade. Germany’s Angela Merkel came to South America earlier this month and met with leaders from Mexico and Argentina on trade matters–partially because of concerns related to Donald Trump’s trade statements (see Germany’s Merkel is in Argentina making deals with Mexico and Argentina). Trade is a concern. So much so, trade wars were listed as part of the Twelve ‘grey swan’ events to watch for in 2017. As the press is reporting, they may happen. A few months back, we also put together a YouTube video recently titled Trade Wars: Are COG warnings coming to pass? Trade disputes are likely to be a factor that will lead to World War III. The Bible tells of a powerful trade empire arising in the last days in Europe, called “Babylon the Great” (Revelation 18). It has long been my view that problems with trade and/or trade agreements will be a factor that will further turn Europe against the USA, and be a factor in the start of WWIII (see also WTO Trade Deal and the Rise of the European Beast Power). As regular readers of this page are aware, the idea that we could be looking at a coming trade war is not a new one. Part of the reason for World War II was essentially a trade war, that turned into an actual war between the USA and Japan (Hogberg G. Prepare for Trade War! Plain Truth, January 1986). And while his basic impression of timing was off, it is correct that trade issues will be a factor that will trigger WWIII. A war that will be against the USA, Canada, and UK and led by a power that will reorganize (Revelation 17:12-13) and then rise in Europe. A Europe that is angry at the UK for Brexit and one that is mad at the USA for a host of reasons (including decisions of its former President Obama and statements by its current President Donald Trump). There is a cost to trade wars and tariffs. Those who think otherwise are fooling themselves. We are seeing more in the world that want to turn further away from the USA. Massive shifts in trade are beginning to take place. 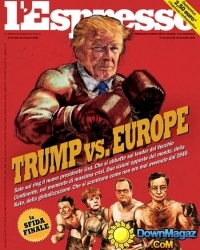 A real war, and not just a trade war, between Europe and the USA (with the UK basically on the USA’s side) will come as one day Europe will take steps to ‘eliminate the competition’ so to speak (cf. Daniel 8:25; 11:39; USA in Prophecy: The Strongest Fortresses). Trade issues appear likely to be a factor that will trigger WWIII. Trump Presidency: Magic 8 Ball or Bible Prophecy? BBC reported that one might as well use a ‘Magic Eight-Ball’ to try to predict what will happen in the remaining time of Donald Trump’s presidency. What is a ‘Magic Eight-Ball’? Dr. Thiel not only explains that, but also briefly goes over 10 biblically-based warnings he wrote would happen if Donald Trump were elected that have already began to come to pass. He also goes over something he wrote back in 2008 that the Trump presidency is also helping lead to fulfillment. 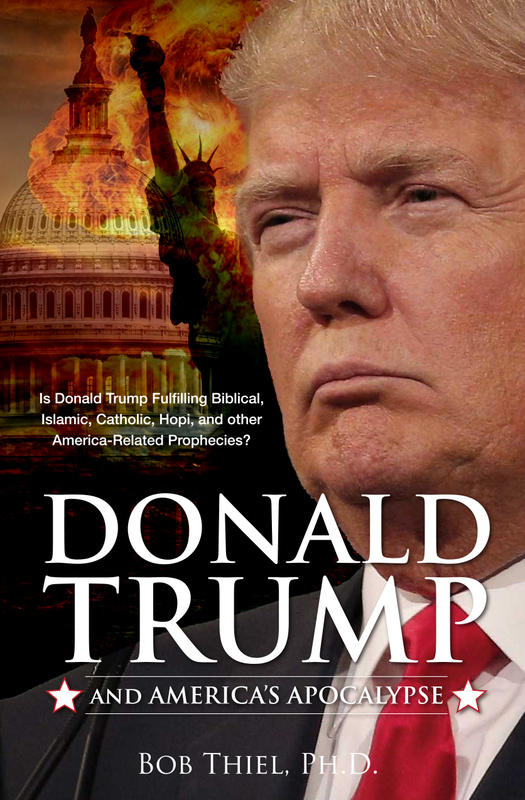 Should you trust Bible prophecy or not? Dr. Thiel says that Bible prophecy can be trusted, despite the view of skeptics and others that either overlook or despise the Bible. This is a video. This entry was posted on Friday, June 30th, 2017 at 2:10 pm	and is filed under Prophecy, WCG News.